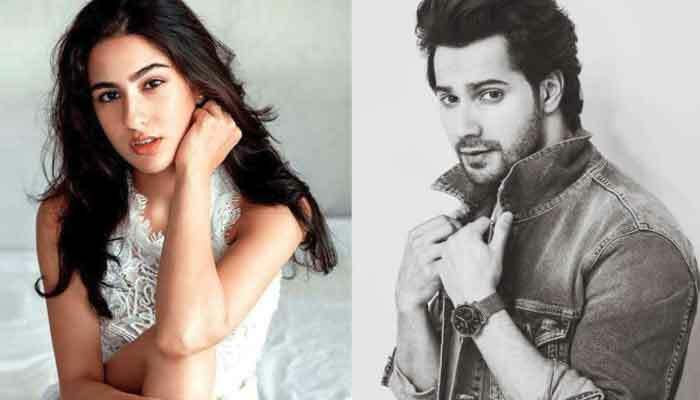 Sara Ali Khan, Varun Dhawan to pair up for Coolie No. 1 remake? Comedy king David Dhawan wishes to remake one of his biggest hits, Coolie.No.1, starring Varun Dhawan. Buzz has it that Sara Ali Khan might play Karisma Kapoor's character. Sara is on a roll, after her debut film Kedarnath and Simmba did good business at the box office. Industry sources told a portal that Sara is the lead contender for the female lead in Coolie No. 1. Her bubbly energy and vivacious personality will match with Varun's dynamic energy. Interestingly, just a while back, on Karan Johar's chat show, Sara had said that she dreams of seeing herself on the big screen with Varun Dhawan. Looks like the dream might come true. Coolie. No. 1 is considered a cult comedy with Karisma Kapoor and Govinda. In the film, Karisma's father gets her married off to a porter (coolie), under the assumption that he is a wealthy person. Sara made a striking debut with Kedarnath, which crossed over Rs 50 crore at the box office. While the film received mixed reviews, Sara was lauded for her performance.